Perhaps you’ve heard of the Love Wall in Paris; situated in the the charming and romantic area of Montmartre, the wall is inscribed with the phrase “I love you” 1,000 times in more than 300 languages. 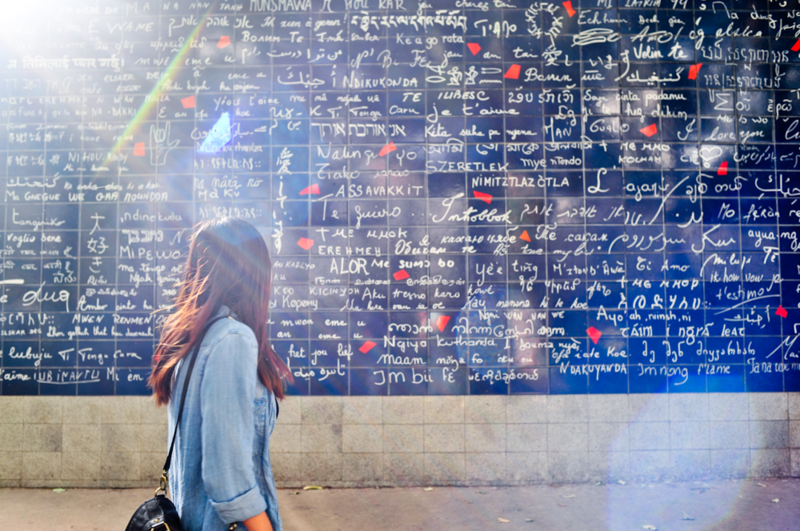 The Monmarte wall is at the top of many tourists’ “to-do” lists, but there’s a second Wall of Love in Paris situated in the 10th arrondissement, transformed to commemorate the 2016 Paris attacks. While the Love Wall in Paris’ 10th arrondissement has a drastically different concept to that of its Monmarte counterpart, you can’t help but notice the correlation between the two with regard to their shared message of community, belonging, and – of course – love. Kami didn’t just bring life to the wall that day; onlookers took notice of the beauty she was creating, and soon permission was granted by the council for a 20m block of the wall to be filled with similar creations. Kami herself was the one to lead what now turned from a single, spontaneous painting into an entire project, putting her own work on hold for two months to ensure its completion. Wanting to make The Wall Of Love something of which the entire community could be a part, Kami contacted artists in the local area, as well as encouraging children to get involved by bringing their innocence, happiness, and creativity to the wall. 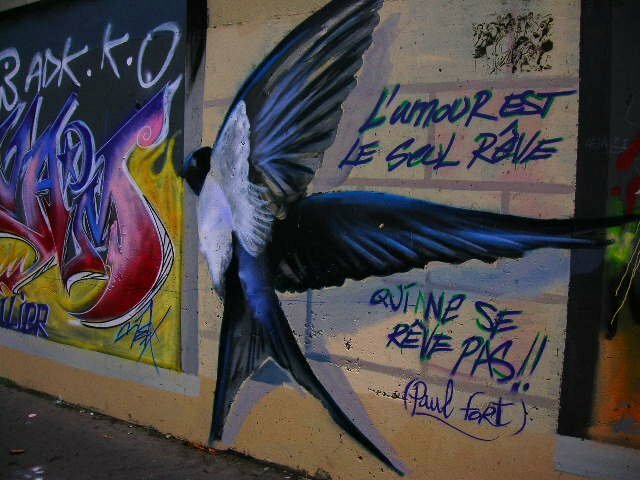 Although the council offered to provide the funds for the paint used for the project, Kami felt the importance of a community effort in everything from the money to the illustrations, encouraging the community to unite as one and raise money for the great cause, thereby funding Dessine-Moi un Bouquet, a crowdfunding initiative which succeeded in financing the wall entirely. Throughout the two months of the wall’s design, Kami held sessions with artists and children in order the fill the wall with as much color and positivity as possible. 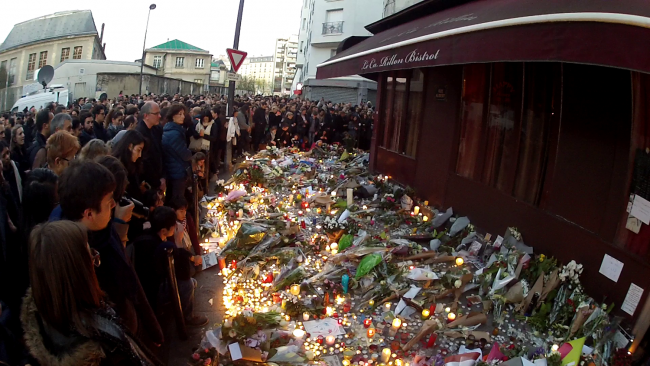 Although the wall was principally formed to commemorate the attacks, many artists keep clear of any kind of association, instead preferring to fabricate something that could bring joy and happiness to the people of Paris once more. One of the sections on the 20-meter-long stretch is of a cartoon boat complete with Eiffel Tower and accompanied by the words “Fluctuat nec mergitur,” meaning “tossed but not sunk” – a powerful representation of the strength and positivity of Parisians. 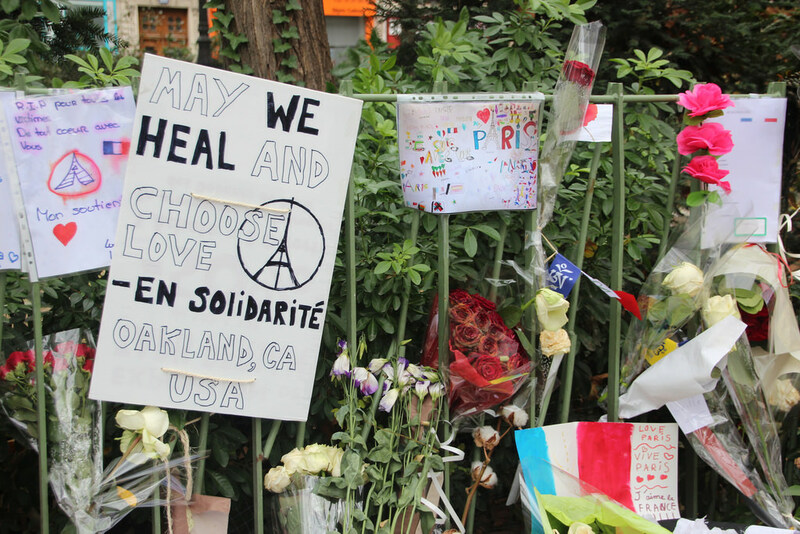 Another image features an extremely eye-catching painting of an African statue called Radiant Mother, which the artist hoped would symbolize to the community that “we are all children of France — a secular and ethnically diverse France.” Giving both hope and mending the hearts of those affected by the attacks, it’s this spirit which helped make the wall such a great success. The people of the 10th arrondissement have noticed an uplifting effect since the construction of the Wall, with faith being restored among what was previously a broken circle. The wall is said to have brought a calming and serene atmosphere to a part of Paris linked to such tragic events, and has been an extremely positive project for the community as a whole. The community’s involvement in the wall’s creation has played an extremely important part in the reuniting of the locals, and with something so inspiring in the area, the pride of being Parisian and in particular an inhabitant of the 10th arrondissement has once more been restored.